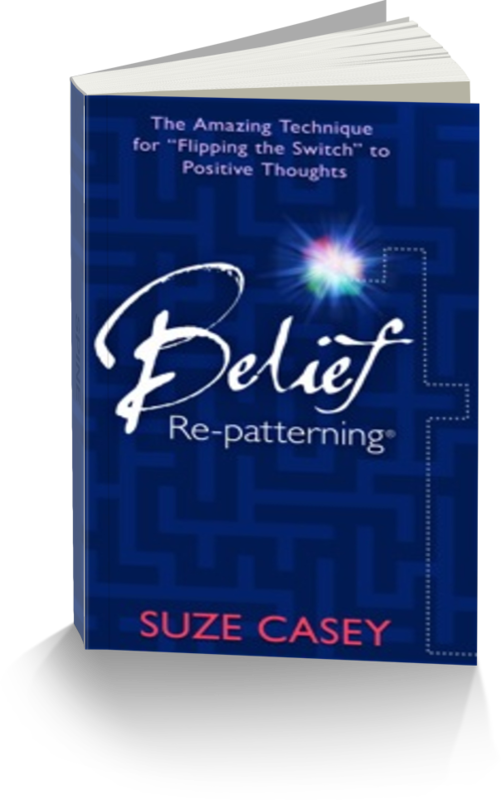 Dedicated to teaching individuals to believe in themselves and consciously create a joyful life from a place of personal respect and self-love, Suze holds a Masters of Education degree. A successful classroom teacher and university instructor, she applied learning theories to overcome the life-style destroying chronic illness she wrestled with in her early thirties. This ultimately provided the catalyst for the development of the Belief Re-patterning technique. Author, educator, and radio personality, since 2001 Suze has supported clients from all walks of life from all parts of the world in proactively strengthening their personal Inner Coach so that when the Inner Critic shows up – as it inevitably will – there is someone reasonable to talk to! On a personal note, Suze loves being Gran to 5 young grandchildren, indulges her musical interests as the Artistic Director of The Calgary Folk Club, and delights in long conversations with her partner Dr. Phillip Hoffmann (author of Nothing So Absurd: An Invitation to Philosophy).